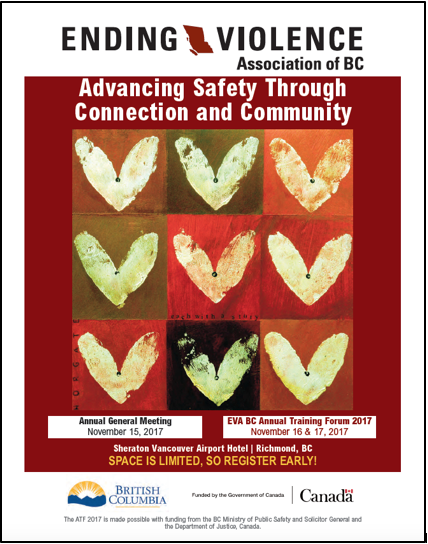 Over 300 anti-violence workers, along with colleagues from government, health, policing, academia and more, attended EVA BC’s Annual Training Forum, Advancing Safety Through Connection and Community, on November 16 and 17, 2017 at the Sheraton Vancouver Airport Hotel in Richmond, BC. 2017 Keynote Speeches from the Training Forum will soon be available on our YouTube page. 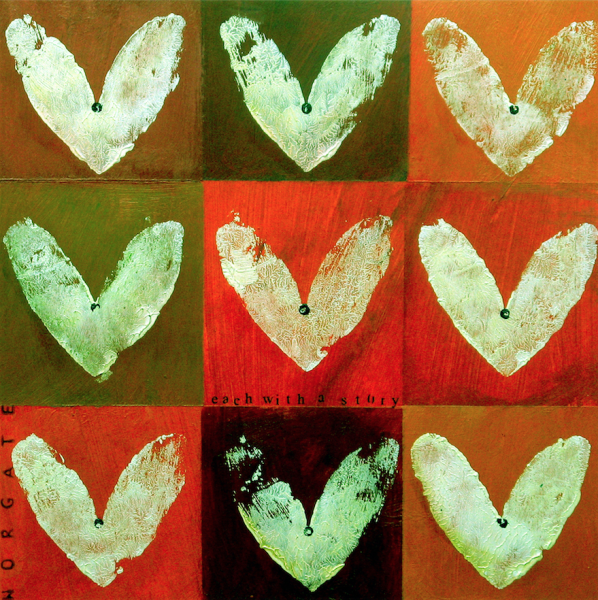 Artwork kindly provided by Sheila Norgate, Gabriola Island, BC. 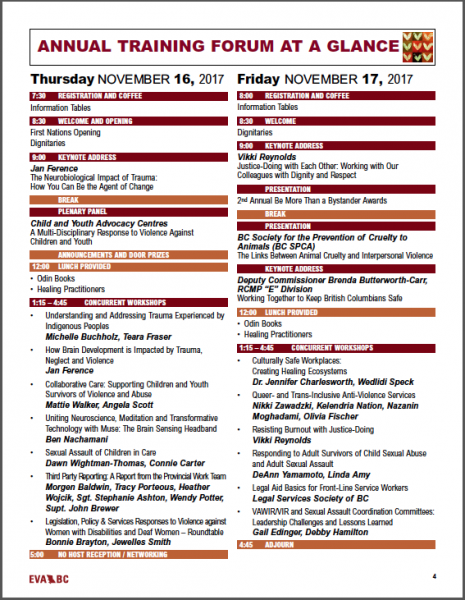 This event was made possible with funding from the BC Ministry of Public Safety and Solicitor General and Department of Justice Canada.